Every Monday, I share with you amazing, miraculous fighters. Micro preemies are the smallest, and often sickest, babies, but they prove again and again how strong they are. However, there is usually at least one other true hero in each story. 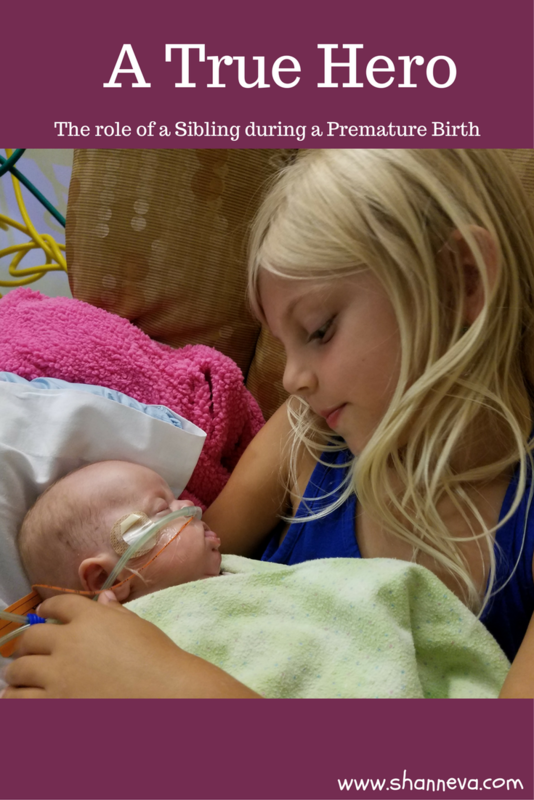 The siblings of the tiny little miracles are also miraculous themselves. I often think back to our time in the NICU, and think about how strong my oldest son had to be during the whole experience. He had to keep living his normal toddler life, but often without mommy there. He was shuffled between grandparents and family, all the while having 2 brothers that he couldn’t even meet. The closest in 91 days was through a window, where he could barely see into their incubators. Sure, he might not have understood everything going on, but he didn’t make a fuss. He didn’t cry or whine or act out. I think he knew that Mommy and Daddy were struggling just to hold it together, so he wasn’t going to add to our stress. He was just so brave, and is still my true hero. Today, you will meet another true hero. She has experienced things no person, let alone a child, should ever have to experience, yet she did it with such strength and grace. Even though this story brought tears to my eyes, it also warmed my heart. Please meet Taylor, Megan, and Stephanie, as told by their mom, Lacey. Taylor DeLynn and Megan Elaine were born at 23 +6 on May 5, 2016. Both babies were growth restricted. Taylor at 22 weeks, weighing one pound one ounce, and Megan to 21 weeks, weighing nine ounces. Those first days were a blur. Megan was strong and doing so well. We soon learned how true the phrase “the honeymoon period” was. During the first week, Taylor struggled. The doctors suggested that since she was the larger twin, that she wasn’t as accustomed to stress. Whereas Megan, being so small, was already accustomed to the stress and therefore doing better. However, on an echocardiogram they found Megan had a ventricular septum deviation, meaning the wall dividing the oxygenated side of the heart from the deoxygenated side was not fully developed. 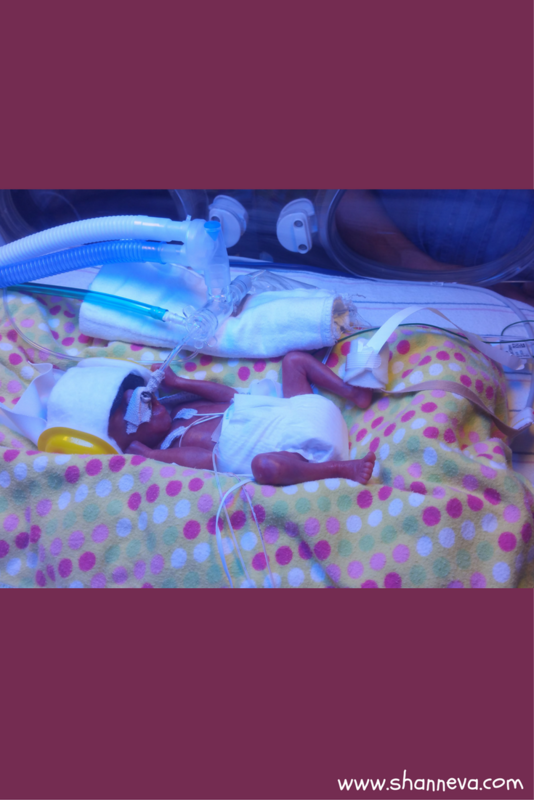 She needed more time to grow for this to heal, unfortunately time is not on the side of these dear micro preemies. 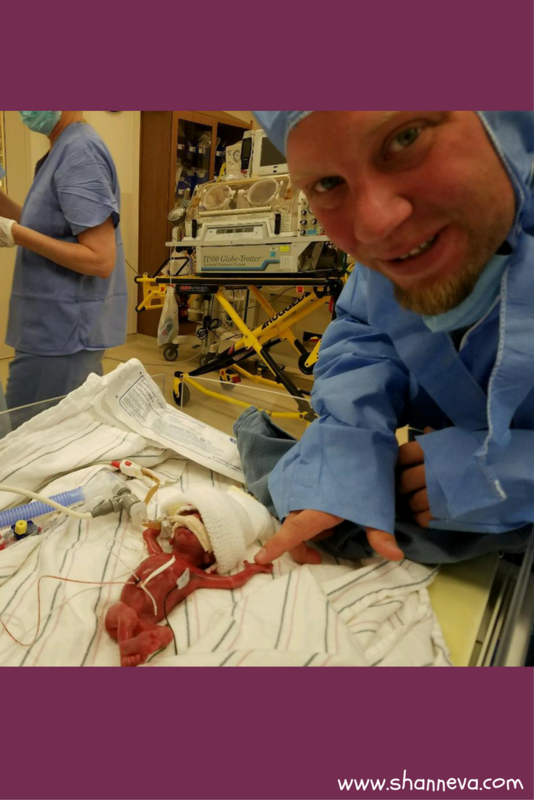 The blood intermixing through the heart made it impossible for her to stay oxygenated and after a long and hard fight Megan went to her heavenly home at nine days old. It’s been over a year, and tears still swell where my heart will be forever empty. During those nine days, she sucked my breast milk off a q-tip and gave myself, her daddy and big sister finger hugs with her tiny hand. My daughter Stephanie, then five years old, planned her princess themed celebration of life service. Complete with fruit wands, a memorable balloon release and singing Jesus Love’s Me at the service. We lived four hours from the hospital, and I was fortunate to be housed at the Ronald McDonald House. There were several hard times throughout our 140 day stay. The first, having to go back home so soon to plan and go through with Megan’s burial service. Taylor was still struggling and sadly to say, I seriously contemplated holding off on the burial so my twin girls could be buried together, if Taylor did not make it. When I returned to the NICU after planning the service, we finally got to take the rollercoaster ride “up” for a few days. When I entered Taylor’s room (still a joined twin room which made it very difficult to walk that hallway and know I would no longer enter the other side) the nurse was getting ready to change her bedding. He asked if i would lift her up, my first time doing so! Of course! I waited for the day I could do more than simply rest my hands on top of her little body! As I lifted her up her eyes flashed open! They had been fused shut til this point and it was a truly happy moment that I needed so greatly at the time. A couple of days later, we headed back home for Megan’s service and burial. When we returned again to the NICU, we soon found how fast the rollercoaster can go back down. Entering the room was the haunting appearance of a large green cylinder, Nitric oxide. It was one of the things Megan was given as a last attempt to help her. Taylor was at her max amount of assistance, 100% oxygen, another round of dexamethasone and now nitric oxide. I’ve never felt such an overwhelming feeling of helplessness. I just watched her, prayed and gave glances to the doctor knowing my face was telling her I couldn’t stand to lose my other baby. A long up and down period of being at maximum support trialed on over the month. Nicknamed a “Dex Baby” as she had six rounds total! There were many discussions that she would most likely be trached at some point. At one month old, she was able to come off the jet ventilator which meant we were able to hold her for the first time! I cherished these moments so much! After a couple unsuccessful excubations they tried her on an external ventilating system – NAVA. This was a huge game changer for her, though we still dealt with a lot of high CO2 levels. 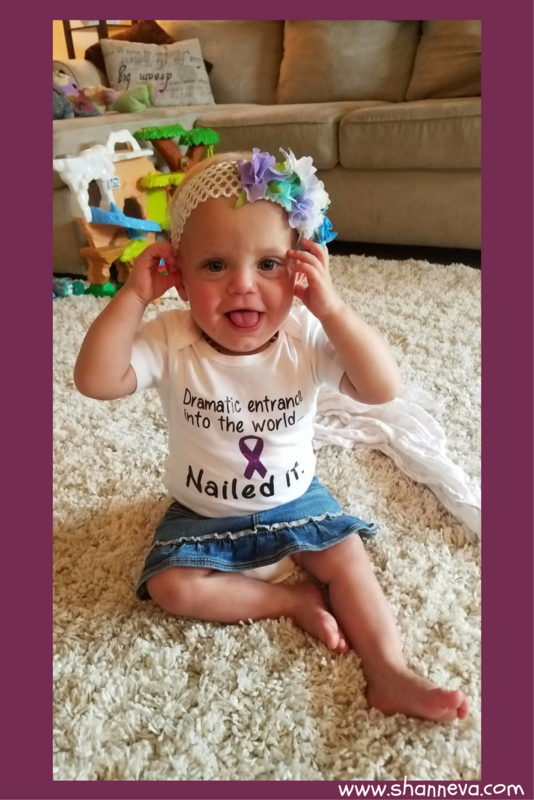 When Taylor was three months old they discover she needed bilateral inguinal hernia repair. During the surgical preparation they temporary transferred her onto a RAM CPAP, she amazingly did great on it! We were finally officially off ventilator support. Another difficult time was at home my older daughter, Stephanie, was starting kindergarten. Every mom wants to be there for their first day, and not only was I “living” four hours away, but we were doing transitioning to bottle feeds instead of the NG tube. I spent a couple of days at home to spend this milestone with Stephanie regardless. She’s been my superhero through this whole thing and still is. Always helping and having such a true love for her sister. The constant weekend traveling was rough, and the goodbyes at the end of the weekend undeniably hard, but she’s such a strong girl and got through it! Taylor was fortunate enough to have my genes as food intake was never an issue, and I was making enough for two so had plenty stored away at home – three freezers full by the end of our stay. She did temporarily show some retinopathy at zone 1 stage 2. However, it resolved with no issues. At my 16 week ultrasound it was noted that even though my twins were di/di, they were measuring small. A follow-up ultrasound scheduled showed an increased delay in growth and absent cord flow to both babies. I was quickly referred to Abbott Northwestern in Minneapolis, where my blood pressure concerns were validated. I was pre-eclamptic and they were seeing the issues in the babies before me. Being a runner, my blood pressure (BP) is normally quite low. I started having head aches and dizzy spells, but my BP was on the higher side of “normal” so it wasn’t taken as seriously as the absent cord flow. “Normal” is not normal for everybody. My 3rd night admitted for observation my BP spiked despite two IV BP meds being administered. I was still 192/132, I never had the “normal” upper right gastric pain. I had back pain that started low and gradually moved up to my neck through the night. Eventually I couldn’t turn my head from side to side. The doctor climbed on top of me as I lay uncomfortable in the hospital bed and said very seriously “we’re taking these babies in the next hour”. My reply, “Megan needs one more week”. Unfortunately, my body wasn’t going to cooperate and the girls both gave an out loud cry as they entered the world that morning! 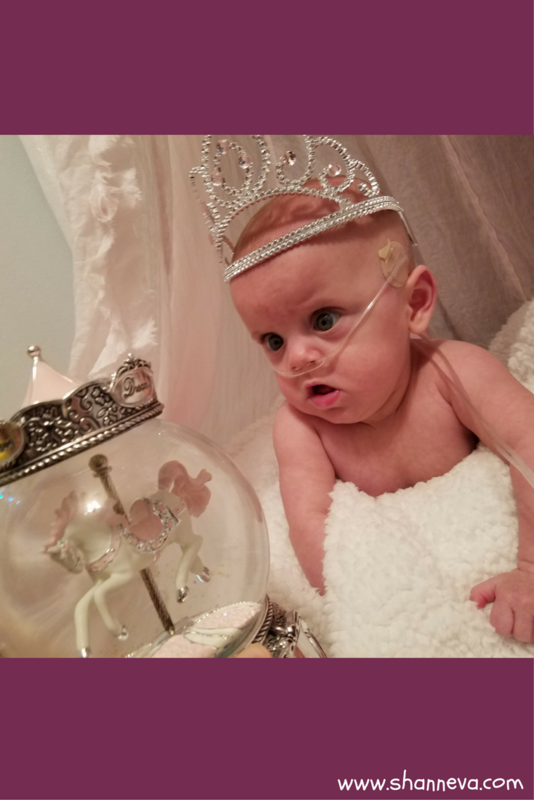 Taylor came home September 22, 2016 on slow flow oxygen and was able to come off completely the day before her 1st birthday! She’s passed all hearing and eye exams to date. She’s meeting all her milestones and we’re close to walking! August 26th was her corrected 1st birthday! Prior to Taylor’s discharge they found she has a random genetic disorder, Beckwith Wiedemann Syndrome. It’s an abnormal overgrowth disorder that may cause asymmetrical overgrowth. Currently we see this in her tongue, slight large and noticeably larger on one side. This syndrome increases the risk of tumor growth, specially to the liver and kidney (Wilm’s tumor). To monitor she has alpha feta protein (AFP) blood work and an abdominal ultrasound every three months until she’s eight years old. At this time the ultrasounds will go to yearly until she’s a preteen. 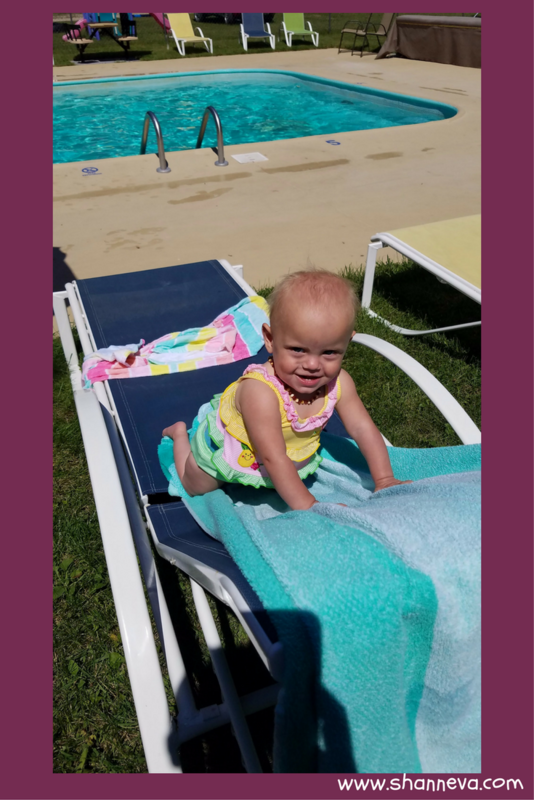 After her growth subsides into adulthood, the risk goes away and no prevalent signs of abnormal growth should be present. Don’t live in the NICU, I know it’s hard to leave but your mind needs a break. Go for a walk outside or go out for dinner with your spouse/significant other. It’s a long ride and you can’t forget about your own mental health during this stressful time. Also, make sure to work with the hospital case managers to see what support services are available in your state. Don’t be afraid to ask for help, even if at the time you’re not sure what exact help it is that you need. 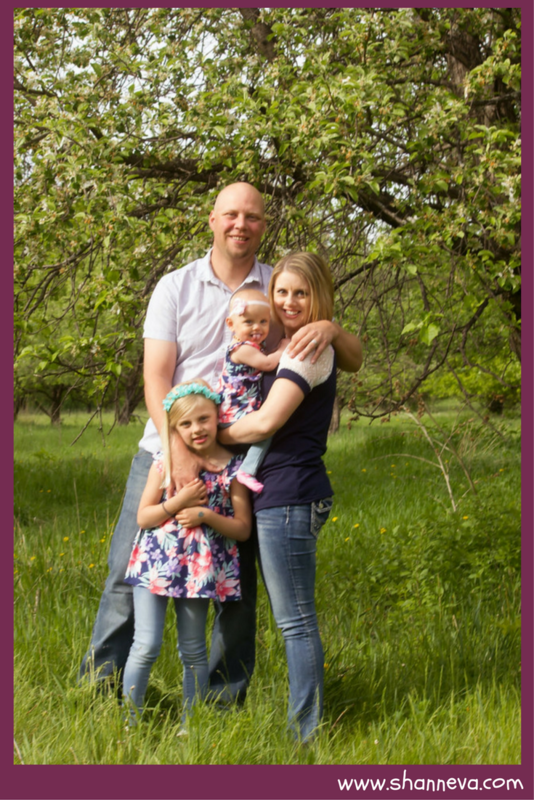 Thank you so much Lacey for sharing your beautiful family with us. Stephanie is definitely a true hero and protector of her sisters.